"What I Loved "begins in New York in 1975, when art historian Leo Hertzberg discovers an extraordinary painting by an unknown artist in a SoHo gallery. He buys the work; tracks down the artist, Bill Wechsler; and the two men embark on a life-long friendship. Leo's story, which spans twenty-five years, follows the growing involvement between his family and Bill's--an intricate constellation of attachments that includes the two men, their wives, Erica and Violet, and their sons, Matthew and Mark. The families live in the same New York apartment building, rent a house together in the summers and keep up a lively exchange of ideas about life and art, but the bonds between them are tested, first by sudden tragedy, and then by a monstrous duplicity that slowly comes to the surface. 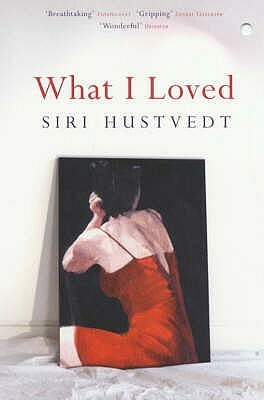 A beautifully written novel that combines the intimacy of a family saga with the suspense of a thriller, "What I Loved "is a deeply moving story about art, love, loss, and betrayal.